Rising energy and water prices will boost the value of existing green homes and commercial premises, according to industry experts and with rising energy prices becoming a highly identified cost in every family, homeowner, builder, government and of every business. To find out why our products are the best Timber Frame and Solid Log Buildings available in the UK today, CONTACT US for a FREE Information Pack. Log Homes and School Classrooms and Nurserys are the mainstay of business at New Forest Log Cabins. Our knowledge of designing and building experience with log construction is unparalleled in the UK. Many modern log buildings constructed by New Forest Log Cabins use technologies and materials which have been truly tested by the British climate. Log building have been around for centuries and proven to be one of the strongest, most durable ways to build. Not to mention the eco friendly materials and green credentials of using timber. Our buildings are well-designed and insulated from a 30% Energy Saving at day one to the future incorporating Passive methods of construction which could see hundreds of pounds a year cut from their energy bills as prices escalate dramatically with the pressure of affordable housing today and not just in the initial building or purchase costs, but the whole spread of services such as power, water and gas needed to run a home. John Rudd - Sales Director at NFLC is sure the property market will become increasingly driven by running costs that will automatically be factored in by buyers who are looking at balancing their utility costs," he said. "The reality is the payback period for solar panels and other energy saving technology has shortened dramatically with power costs in the past two years increasing like never before. Not only will the continuing increased energy prices boost property values, they will also put a strong focus on the quality of construction and New Builds in the future in relation to energy efficiency and sustainability,"
The team at New Forest Log Cabins is committed to helping you achieve your green building goals, in addition to satisfying your overall design requirements. We realise that each client will have their own green objectives. It is our responsibility to provide you with options and expertise that suit your custom design. Sawdust from our mill is collected and used to fire the furnaces that drive the kiln to dry the logs to remove the moisture content to approved building levels. We use modern manufacturing procedures to reduce waste & energy consumption. All scrap wood is collected and recycled. We recycle the bark from the trees for making pellets used in wood burning stoves. As the producer of Eco Friendly Log Buildings we help to promote innovative green building ideas. We will only work with suppliers who demonstrate a firm commitment to sustainability. 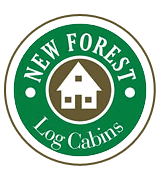 The green credentials of New Forest Log Cabins are very good and the benefits to the environment are considerable. Just think for a minute about all the energy that goes into creating building materials. If you think about logs, really they are not that different from a tree standing in a forest. Bricks, blocks, metals, plastics and other building materials require massive amounts of energy to process into a suitable building material. Building your home or building from wood could save a huge amount of energy in comparison to using more conventional materials. What is more sustainable than timber when it comes down to building materials? Trees are grown all over the world and are vital to the balance of our whole environment. They absorb CO2 from the atmosphere which has been produced by factories that are polluting the air. Forests in Baltics where we source all of our trees from are also strictly managed and monitored to make sure that the timber is harvested in a sustainable manner. So not only do our log buildings consume a lot less energy to manufacture, but as they are very thermally efficient they can save energy and money to keep warm too. In fact, our customers have done the calculations and show that there is a saving of over 30% on energy usage in our standard Timber Frame buildings and a well insulated log building needs very little heating, but also needs less cooling during hot times too. Buildings being made from a natural materials will breath and be part of the Environment.